After the excitement of new, meaner cars hitting the track for the first time during winter testing, and a seeming decline of the Silver Arrows among a field of potential title contenders, the first race of the season came as a disappointment to anyone who hoped for the F1 tables to finally turn. There was little action, and few surprises – the only real consolation came in the form of the first non-Mercedes championship leader in more than three years. The illusions of a new dawn in Formula 1 were diminished on day one at Melbourne, as Lewis Hamilton dominated the first two pre-race sessions, and went on to claim the first pole of the year. But there was some reminiscence of the testing two weeks earlier, as Ferrari stuck to the top of the time-sheets – this time with Sebastian Vettel, who lead the third practice session and clocked the second fastest time in qualifying – only 0.2sec slower than Hamilton. The hero of Barcelona, Kimi Raikkonen, disappeared somewhat into the shadow of the his team-mate as well as the second Mercedes of Valtteri Bottas, closing the second front row with the fourth fastest lap in qualifying. Although the sight of a Silver Arrow on pole was not the one the Australian crowds were hoping for, on Sunday morning there was still some optimism about the potential outcome of the first race on the year – the cars were heavy with fuel, the mandatory tire change was in force, and there was a further a change in regulations which was due to make the start procedure even harder than before. It was a stellar start off the line for Hamilton, putting him in great stead to claim his third win in Melbourne. And so, there was hope that Hamilton – who’s demonstrated a raft of good and bad launches in 2016 – might still be jumped on the first corner by Vettel, sparking an early battle for position. 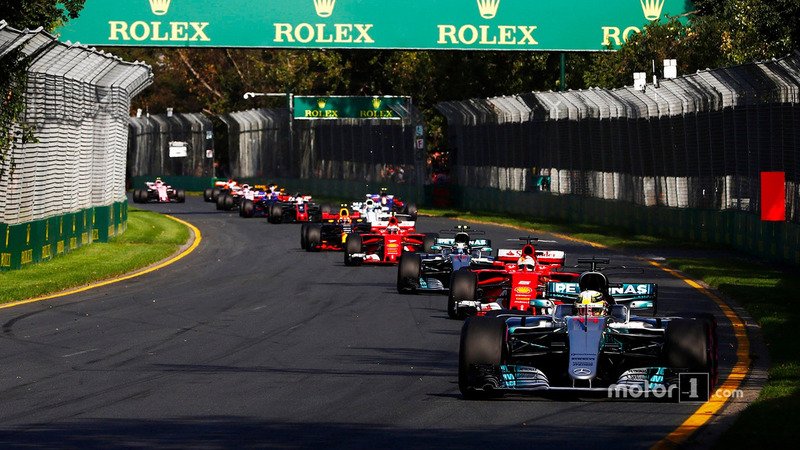 This was not the case when lights went off in Melbourne, as the Brit went off to a faultless start, while the remainder of the front row followed… But unlike in so many races last year, the Mercedes did not quickly disappear into the distance, but was, in fact, closely followed by Vettel’s Ferrari. 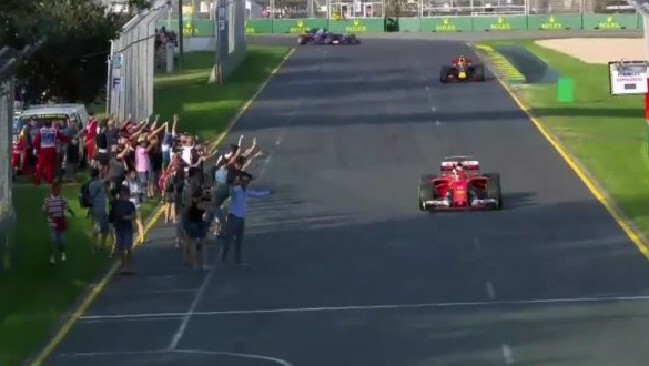 So close, that the Prancing Horse effectuated an overcut strategy, whereby they relied on the rival car in front to dip into the pits a bit too early, to then emerge from their own stop in front – and that’s exactly what happened. Unable to develop a big enough gap between himself and the Ferrari, and ready for a new set of boots to pick up the pace, Hamilton wedged off the track for his tyre change on lap 18, promoting Vettel to the lead. The German stayed out a few more laps, before his stop – in which time Hamilton got caught in traffic, buying the four-time champion an extra second of lead time, which allowed him to emerge in front again, where he remained to claim the chequered flag. With his first win since Singapore 2015, Vettel became the first non-Mercedes championship leader since claiming the title himself in Abu Dhabi 2013; this was also Ferrari’s first win in 28 races – and the first time since 2012 that the team has taken the top spot in the standings. It goes without saying, the post-race atmosphere was tremendous. “Unbelievable. 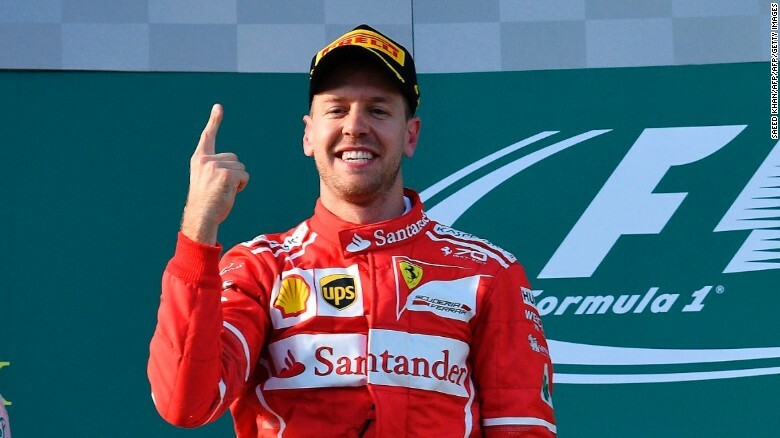 Thank you everyone, it was a fantastic grand prix,” Vettel said off the top podium spot. “A big congratulations to Sebastian and Ferrari. I know this win has been a long time coming for them. That’s debatable, however, as it would seem there were only two teams that could realistically fight for the top points in this race. 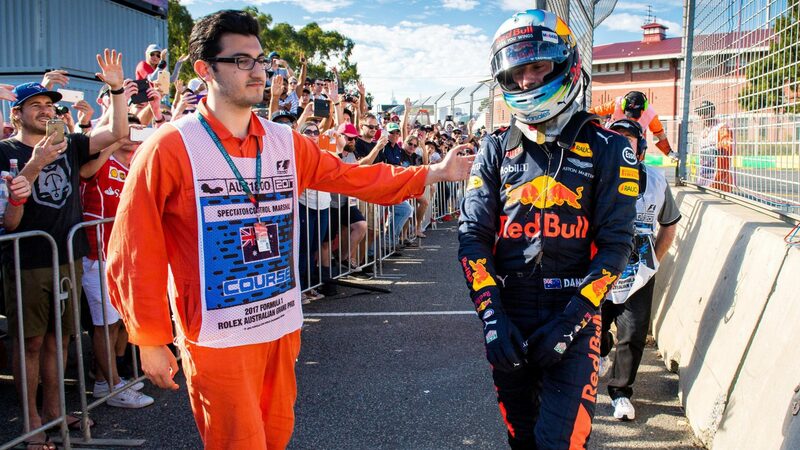 Primed for greatness ahead of the season, Red Bull arrived on Sunday limping – their home boy Daniel Ricciardo had mucked up his last qualifying session in an uncharacteristic fashion by spinning off into a wall. It was a disappointing start to the season for Ricciardo and his home crowd. The crash forced him to take on a new gearbox, which relegated him five spots further down the grid; but the curse of the RB13 continued, when a sensor issue caused his car to stop on his way to the grid on race day – threatening to take the Aussie out of the grand prix before it even started. Rolled back to the garage, Ricciardo was in the mercy of his engineers who somehow managed to get the car going again in the short time before the start of the race. Unable to partake in the formation lap (nor the second formation lap which followed, as the start was aborted by Race Control), he eventually joined the pack straight from his garage, two laps down; but his efforts to unlap himself came to nothing as he parked his car off track even before the mid-point of the event – to the dismay (but also encouraging cheers) of his home crowd. “Not the weekend I wanted,” he said. “For all these things to happen at my home race, that’s probably the most frustrating thing… I feel for the fans. His team-mate had an all-together better weekend; with no technical faults of note, Max Verstappen clocked the fifth fastest time on Saturday, and went on to finish the race in the same position – but, more importantly, he was instrumental in determining the winner that afternoon, as he was the one to delay Hamilton when Vettel was taking his all-important pit stop. 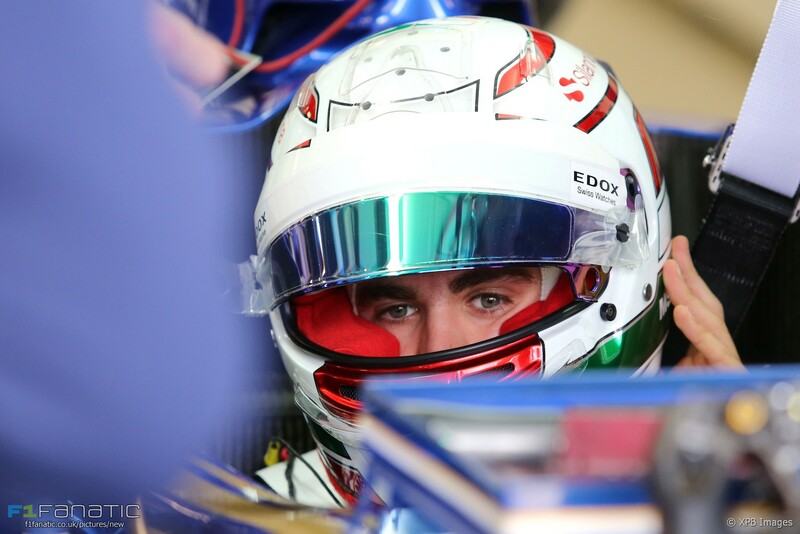 After Ericsson’s retirement, Antonio Giovanazzi – the rookie replacement for injured Pascal Wehrlein – was the only man running for Sauber in their 25. anniversary race. Other performances of note ahead of the race came from Romain Grosjean, who begun his second season in Haas on a high note, with the team’s best qualifying, in sixth. The euphoria didn’t last, however, as he became the first retiree on the Sunday when his VF-17 lost power on lap 13. He was one of seven DNFs that day – a tally typical of Melbourne, particularly following a major change in regulations. Apart from the already mentioned Ricciardo, he was joined by Jolyon Palmer from Renault (persistent brake issue), Marcus Ericsson – Sauber (first lap crash damage and hydraulic issues), Lance Stroll – Williams (brake issue), and also Grosjean’s team-mate Kevin Magnussen (first lap crash with Ericsson and suspension failure), making this a pretty bleak start to the season for the American squad. When talking of bleak fortunes, McLaren slips to mind; and, indeed, Fernando Alonso also joined the DNF group in the late stages of the race, but thankfully, not due to a crash this year. A suspension issue spoiled an otherwise promising season opener, which the Spaniard called “one of my very best races” – after all, he did manage to squeeze more power out of the MCL32 than his team-mate Stoffel Vandoorne throughout the weekend, to qualify in 13. In fact, that’s the position in which the junior driver finished the race – sadly, he was also the last car to cross the line, only ahead of the aforementioned non-finishers. 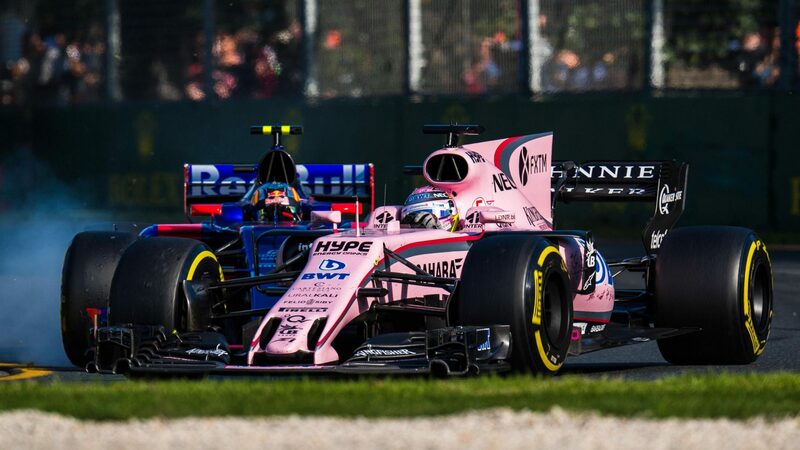 Bubblegum pink did not subdue the fire of Perez’s pursuit of points. All of these retirements made the battle for points even harder for the back-benchers, who were left a car short – in turn, this made room for the mid-fielders. Force India, who at Melbourne broke the seal on their new pink chassis, shone with the performance of Sergio Perez proving to the skeptics that there’s still room to overtake in – and amongst the wider 2017 challengers. Thanks to a few brave moves, the Mexican finished the race in seventh, behind William’s re-signed retiree, Felipe Massa. The points scored by the Brazilian mark a good start for the Grove outfit in 2017 – however, the 55sec gap between himself and Verstappen put a damper on the celebrations. Back to Force India though, who can certainly raise a glass or two, as they brought home double points from Australia thanks to their rookie signing Esteban Ocon crossing the line in 10. Sandwiched between the two Force Indias were Carlos Sainz and Daniil Kvyat, launching the season to a great start for Toro Rosso… these are two small stories of success that, truthfully, tell us very little about the progress the sport has made over the winter break. In fact, very little seems to have changed, bar the evident competitive pace of Ferrari. Thanks to Vettel’s win (probably the most exciting moment of the race), for once the championship leader is not wearing a three-pronged star on their overalls… but, in the same breath, the season has only just begun, and Mercedes is promising an immediate reaction to its latest defeat. Let’s hope the Prancing Horse won’t rest on its laurels, or it will be a very disappointing season indeed.